Ithaca Shakespeare Company - February 2012: Twelfth Night is Almost Sold Out! 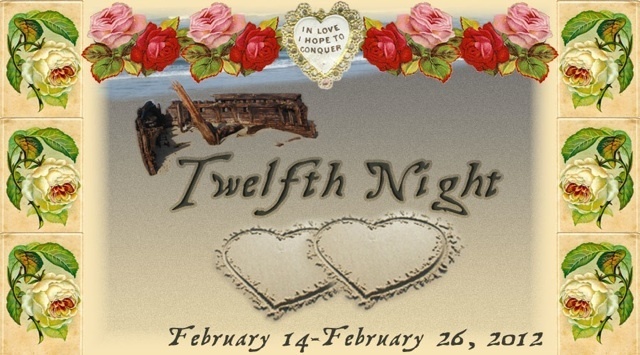 Tickets For Twelfth Night Are Almost Gone! The remaining shows for Twelfth Night are currently over 80% sold out! Don't miss your chance to see the production that audiences are raving about. Tickets start at just $10, and there are NO service fees! Want to see the show for free? Ushers are still needed for February 22nd and 25th! E-mail us to sign up! Developing a new facility and offering more productions each year create many new expenses, and ticket sales alone can cover less than 50% of our costs. Please help us by making a quick, secure donation on our website. Contributions of any size are helpful, and every penny goes toward continuing to improve our programs and facility. Let's continue building something special together! "Fantastic. Voices clear and audible, casting superb, staging creative and fluid...I thought it was really masterful." "Wonderful! The mutual respect and affection between the actors is always obvious with ISC theatre and it makes for great ensemble work. Every actor was committed and brought new life to the roles without anyone trying to upstage others. Brilliant work. Beautiful costuming! And, thanks for pricing it affordably. The space was good; the chairs were comfy. All good!" "Acting was fantastic, could understand every word that was spoken, loved the venue." "Consummate Shakespeare. Fun entertainment for a winter's eve." "Loved it. The actors were fantastic. They really put their all into the performance." "EXCELLENT!! It drew us in and we loved every part of the show. We purchased the dinner and show deal and would definitely do this again! It was a perfect date night for us and we wouldn't change a thing! Thank you soo much!!" "The show was great! I loved the intemate setting of the theatre, and the acting was superb! Great spirit & fun!!" "Enjoyed it very much. Was impressed particularly with the clear enunciation, even in the fast-paced parts. It was clear as a bell." "It was really excellent! My son and I enjoyed ourselves very much. I would highly recommend the show!" "All of the characters were wonderfully developed. We are grateful to see Shakespeare done so well, so close at hand. Many thanks! Bravo!" "Loved it! Great acting, singing, humor and slapstick. Made Shakespeare easy to understand." "The clearest I've ever heard Shakespeare done." "Enjoyed ourselves thoroughly. Could understand every word. Found the actors accomplished, enjoyed their brio. Loved the comic elements and the songs. Laughed a lot. So glad to have the opportunity to see Shakespeare performed locally. Thanks to all!" "We loved the show! The performers were wonderful and the intimate space really enhanced the experience. Thanks for making this happen."